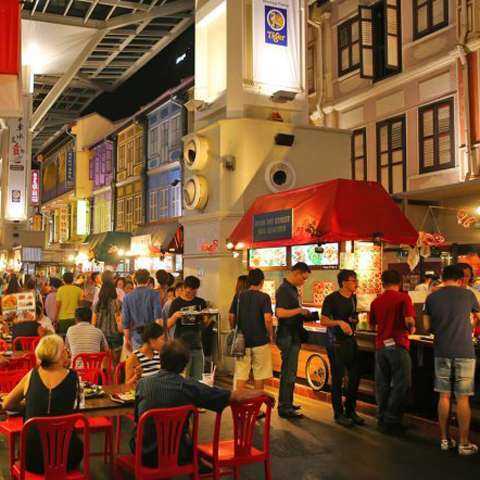 From bites before the Show’s opening to a night out on the town after a long day of yacht-seeing and networking, Singapore has a multitude of food and nightlife options to satisfy any of your dining and entertaining needs. Socialisers have good reason to come visit our lively metropolis. Some of the best restaurants, bars and nightclubs in Asia are found right here in Singapore and easily accessible from ONE°15 Marina Sentosa Cove which you can enjoy pre- and post- Show. 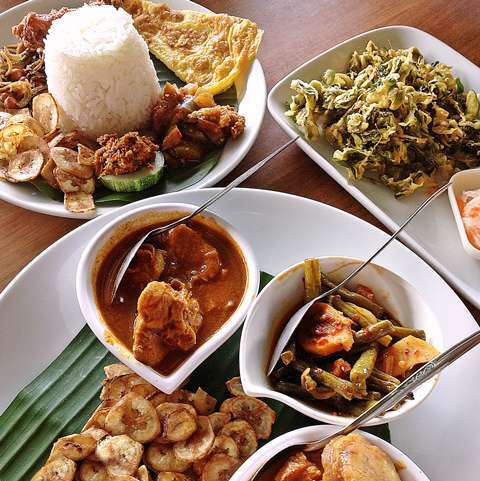 As one of the world’s leading culinary destinations, Singapore has every conceivable cuisine, from local fares at hawker centres through to fine dining restaurants. It is a city where Michelin stars are awarded to humble food stalls and restaurants alike. Chan Hon Meng’s Liao Fan Hong Kong Soya Sauce Chicken Rice & Noodle in Chinatown was awarded one of the elusive stars for its $2.50 plate of chicken rice. At the other end of the spectrum, dine at Osia, the first Australian cuisine-focused restaurant to be awarded a Michelin star. Located at the nearby Resorts World Sentosa, you can also drop by the Tanjong Beach Club for a cocktail or two. Leading celebrity chefs Tetsuya Wakuda, Emmanuel Stroobant, Gordon Ramsay and Wolfgang Puck all have restaurants throughout the city central – so there are no excuses not to fulfil your culinary cravings. 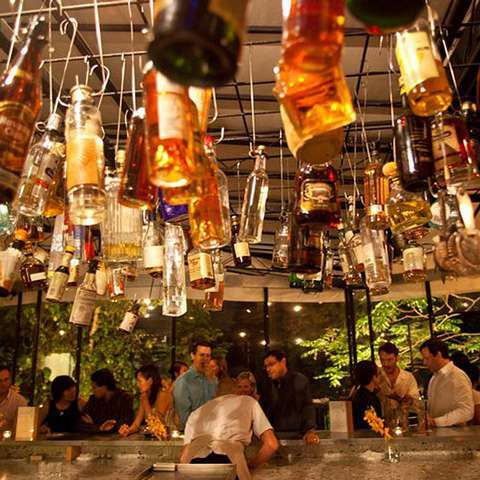 After a satisfying meal, why not walk it off at the city’s renowned nightlife areas – Boat Quay and Clarke Quay. 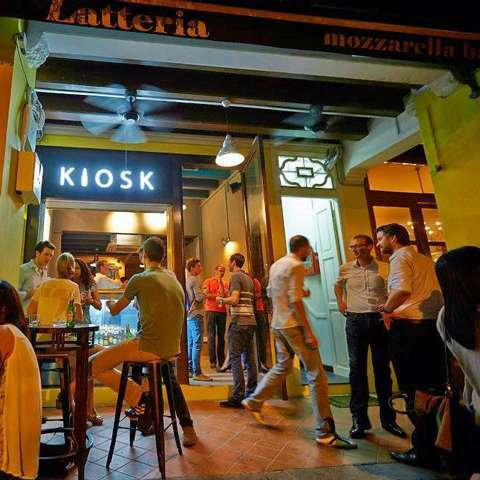 If you prefer to go off the beaten track, head down to Arab Street where you will find Blu Jazz for a night of revelry or join the after-work crowd at any of their watering holes, such as The Exchange, Drinks & Co. and Wine Connection. If ‘up’ is where you would like to be, CÉ LA VI at Marina Bay Sands, LeVeL33 at MBFC and 1-Altitude at Raffles Place all offer some of the best views of the city. For the truly intrepid, head up to the northern area of Kranji and capture a piece of country life at this organic bistro and farm. Yes. A farm! A great spot for families. Old British military barracks elegantly transformed into a trendy lifestyle destination with an excellent mix of restaurants, cafes and wine bars. New restaurants and cool bars in quaint shop houses keep springing up in this once less than reputable neighbourhood. Great place for a night out. One of the best places to eat tasty and authentic local food in Singapore. Serving up generous portions in old-fashioned surroundings.